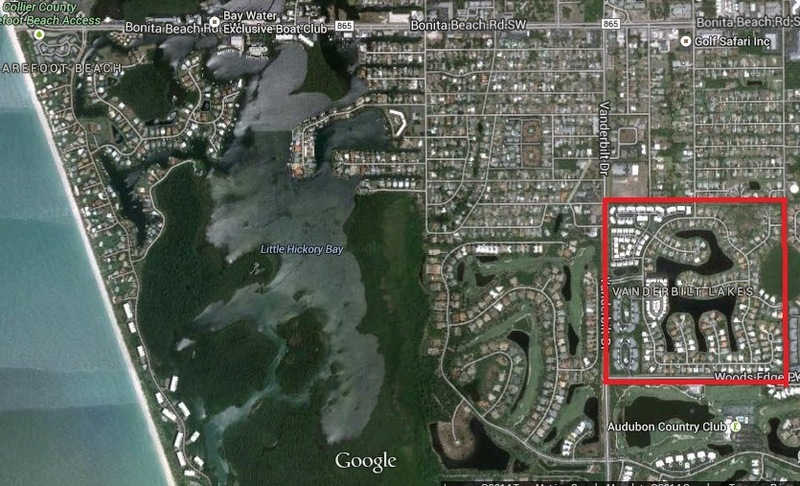 Vanderbilt Lakes is a gated community located minutes from Bonita Beach in Bonita Springs, Florida. Housing styles in Vanderbilt Lakes range from low rise condominiums to attached villas to single family estate homes. Vanderbilt Lakes began construction in the late 1980’s and is now built out. Single family homes at Vanderbilt Lakes range from modest two bedroom villas to larger estate homes. Homes may or may not have optional private swimming pools. Due to the construction beginning years ago, Vanderbilt Lakes is spacious feeling with distance between homes. When you enter the community you are greeted by large oak trees tunneling the gated entrance and a long lake view with benches for viewing. The low rise condos at Vanderbilt Lakes are two story structures. Condominiums range from two to three bedrooms. The upstairs residences are accessible by stairs and there is only carport or open space parking. There are no elevators. 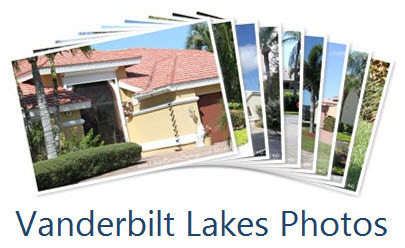 Communities within Vanderbilt Lakes include: Carmel at Vanderbilt Lakes, Bermuda Cays at Vanderbilt Lakes, Bermuda Gardens at Vanderbilt Lakes, Bermuda Isle at Vanderbilt Lakes, The Estates at Vanderbilt Lakes. The community of Vanderbilt Lakes has meandering streets lined with large, mature trees and well established landscaping. The homes area not as “cookie cutter” as many other gated communities so there is a bit of variety in the appearance of the homes. Vanderbilt Lakes is west of US 41, within biking distance to Bonita Beach and Barefoot Beach and only minutes to fine dining and shopping at Coconut Point Mall. Grocery stores and medical services are only minutes away.